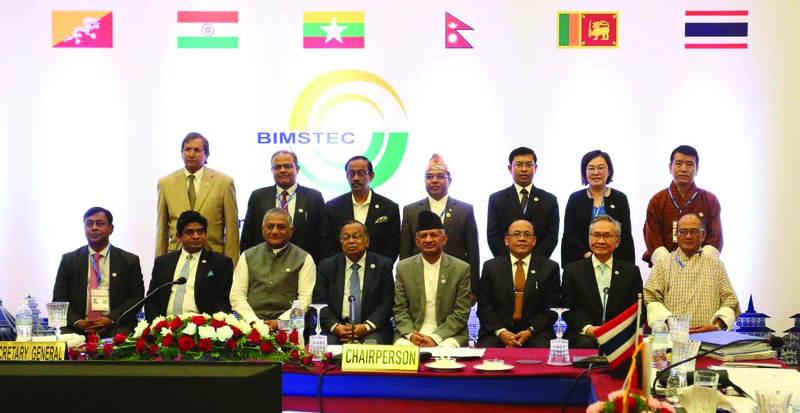 As Bay of Bengal Initiative for Multi-Sectoral Technical and Economic Cooperation (BIMSTEC) summit is happening in Kathmandu most attention has been drawn toward economic and connectivity issues. Security issue, it seems, has become secondary for many. It should not be. 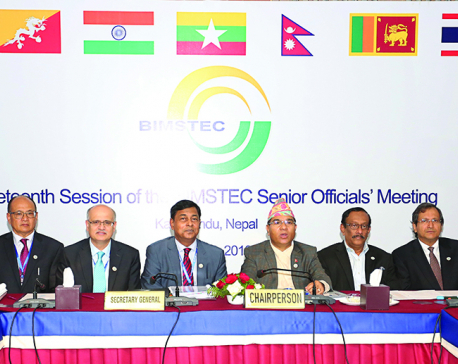 In fact, considering the geo-location and the future prospect of security in this region, BIMSTEC, SAARC and even BBIN have to further devise strategy to maintain strong security position in the region. Because of its geo-location, world’s major powers are eyeing this region, especially Nepal, perhaps by assessing the strengths and potentials of our immediate neighbors or perhaps by thinking that our country can become a permanent hub to challenge or counter-challenge the regional powers. This is why Nepal has to play safely by making both India and China realize the possible threat to their security. Nepal, India and China should initiate Nepal-India-China (NIC) cooperation for economic security, tri-lateral cooperation and regional security. Nepal should also float the idea of sustainable high tech security and economic architecture within NIC framework, so that all three countries benefit from this. As a trilateral body, NIC should enhance connectivity, trade and investment, energy, technology transfer, resource sharing, knowledge transfer, tourism and cultural connection among its members. Terrorism, crimes, conflict etc may be injected in this region through Nepal particularly to make China’s Belt and Road Initiative (BRI) project vulnerable. 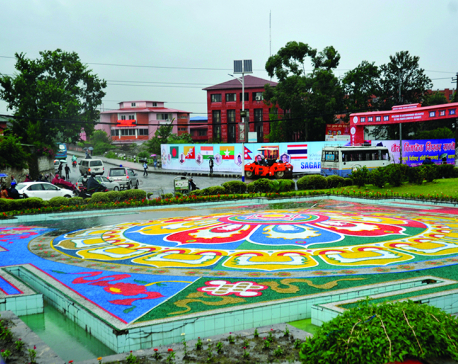 Since, Nepal stands as a bridge between China and rest of South Asia in BRI, our location has assumed greater importance in the region than ever before. Nepal’s security, or lack thereof, is going to affect the security of India and China because of our geo-political proximity with both the countries. India needs security, China needs economic superiority and Pakistan needs peace and stability at the moment. India and Pakistan have foreign policy challenges but they have no other option than bilateral talks to resolve their issues and start new relations politically, diplomatically and economically. Likewise, India and China have no option to trading via Nepal. Because of the existing geolocation, India and China both can benefit more from trading with each other than with American or European markets. India has its own share of problems—security concern, growing populations, rising unemployment, rural poverty, lack of drinking water among others. India will thus have to enhance relations with resourceful Nepal, basically in matters related to water resources. Thus Nepal will become a soft partner country for both India and China, hence the importance of NIC cooperation. It could be a good platform for three members to benefit. Nepal stands at a very important location in entire Asia. So it needs to play a role to strengthen the regional cooperation bodies like BIMSTEC, SAARC and BBIN, besides promoting NIC. Newly elected Prime Minister of Pakistan, Imran Khan, has already extended cordial hands for talks with India. As the current chair of SAARC, Nepal should facilitate the dialogue between the two countries. It will go a long way in resuming the stalled SAARC process. When India and Pakistan stand on good terms, India’s suspicion on China-Pakistan Economic Corridor (CPEC) will be watered down, which, then, will help India find ways to join BRI process. Then both India and China will become the key economic players of this region. After all, India is already a key contributor of Asian Infrastructure Investment Bank (AIIB) that has allocated $100 billion for BRI project. India and China can find the best possible ways to benefit from BRI and together can aim for global leadership in politics and economy. The American influence is waning, European Union is already in crisis and Russia remains an isolated state. This leaves India and China as the only nations to rise as future superpowers. And for all this, NIC provides a platform for India and China to establish cooperation and collaboration, where Nepal will serve as a bridge of trust. Nepal has to be able to win the hearts of regional powers. Nepal needs to project a ‘balanced tone’, politically, diplomatically and strategically to respect the core and genuine interests of both the neighbors. Only this will help maintain the sustainability of the projected NIC cooperation. Nepal has to strategically promote and protect its national interest, preserve geo-integrity, comprehend geo-cultural reality and exploit its soft power while dealing with China and India. Nepal has to make a strategic move, politically, diplomatically and economically, within all the regional frameworks and beyond.